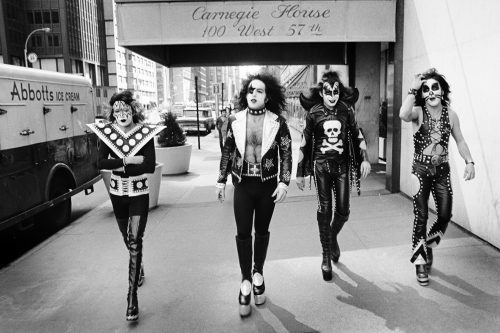 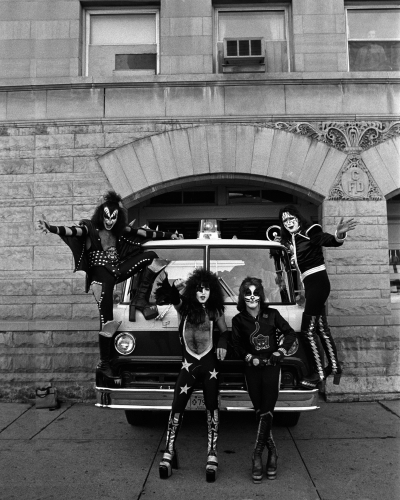 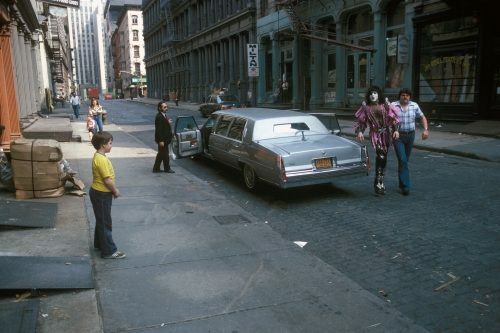 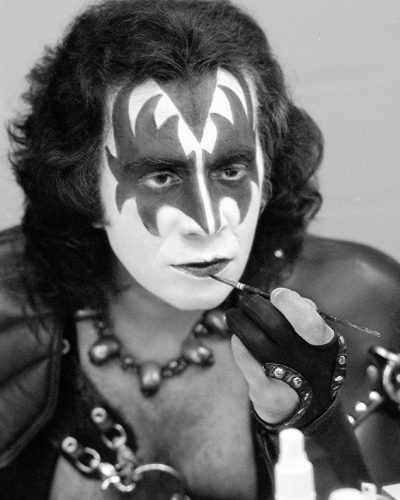 These four personas, portrayed by Paul Stanley, Gene Simmons, Ace Frehley, and Peter Criss, respectively, form the original and best-loved incarnation of Kiss – a band of makeup and costume-clad New Yorkers who showed the world what it really means to rock. 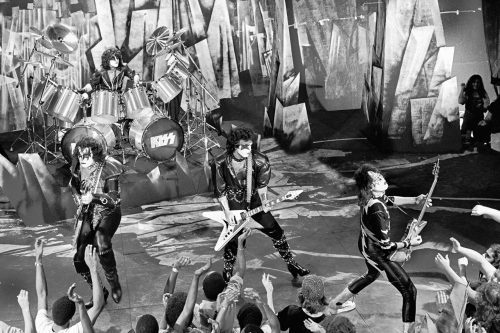 Kiss made their mainstream breakthrough upon the release of live album Alive!, which demonstrated epic showmanship and stadium-filling sounds. 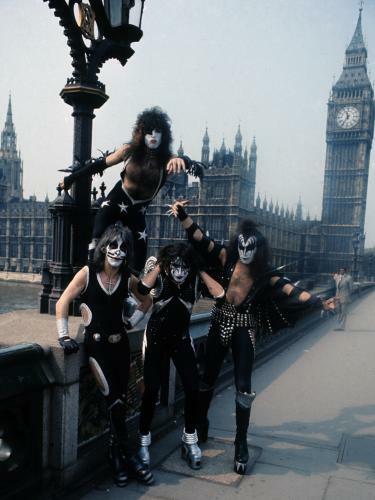 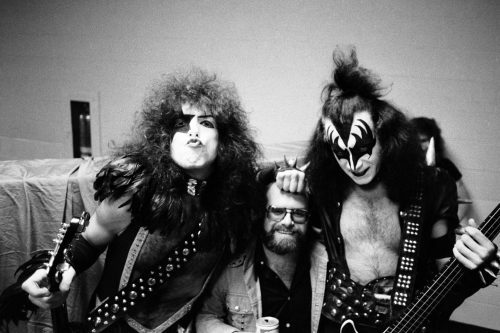 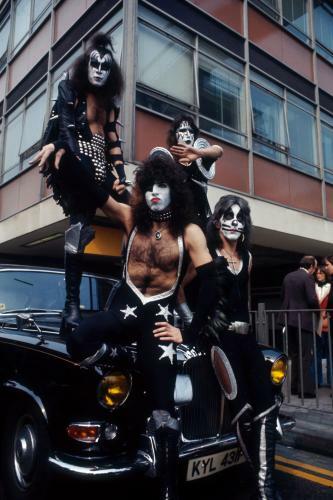 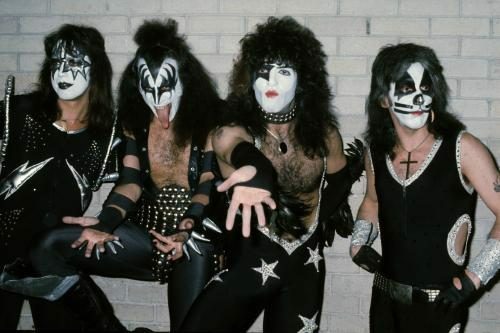 Previously recorded singles such as Rock and Roll All Nite engaged with a wider audience than they had ever been able to reach: propelling Kiss to multiple certified platinum releases, including Rock and Roll Over, Love Gun, and Alive II. 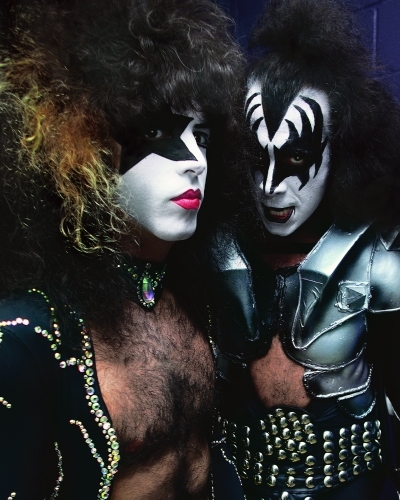 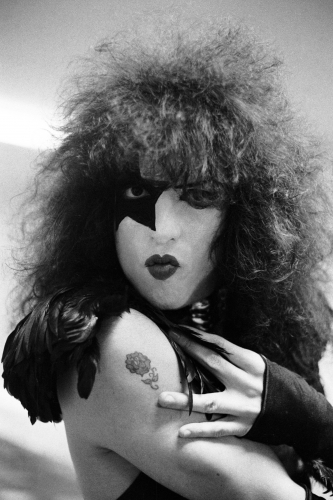 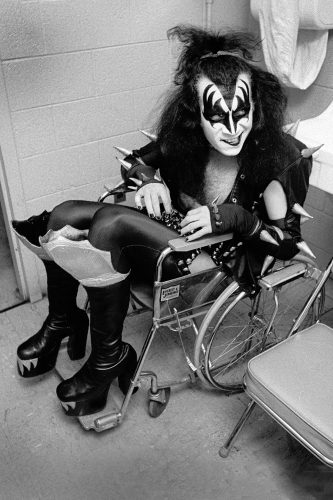 The on-stage alter egos associated with each member were perceived as rock and roll superheroes, and led the band to sell an estimated $100 million in merchandise: from Kiss-themed pinball machines, to comic books, to even lunch boxes. 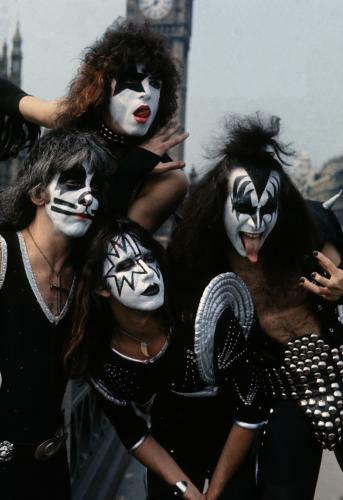 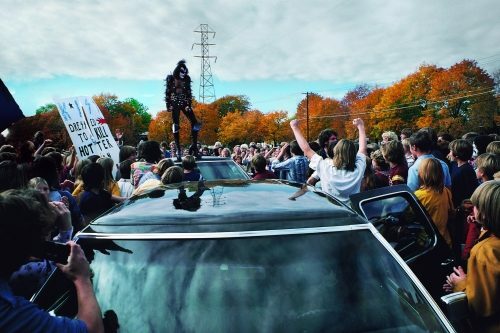 Burning guitars, spitting blood, and smashing instruments all became trademarks of Kiss’ outrageous concerts, spawning an enraptured following of fans: the ‘Kiss Army’. 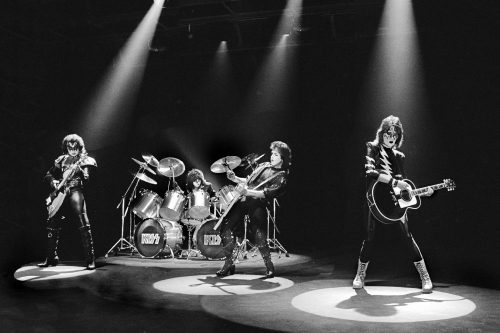 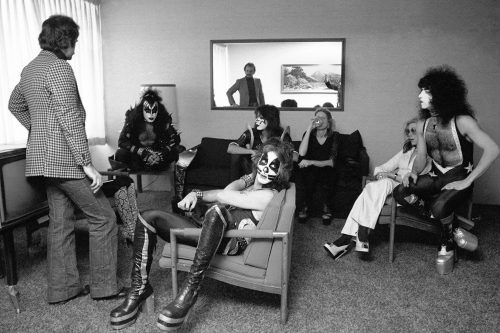 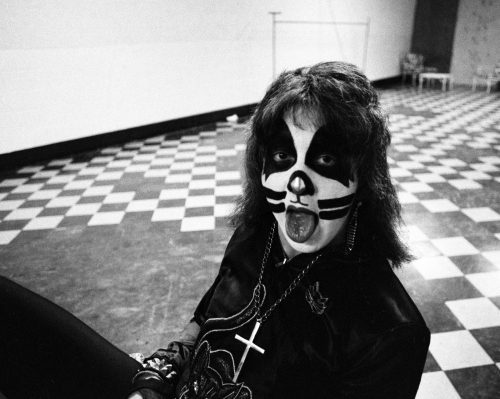 While the eventual departure of Peter Criss and Ace Frehley was a blow to the band, Kiss’ dominance within the 1970’s rock scene ensured that their original line-up would never be forgotten. 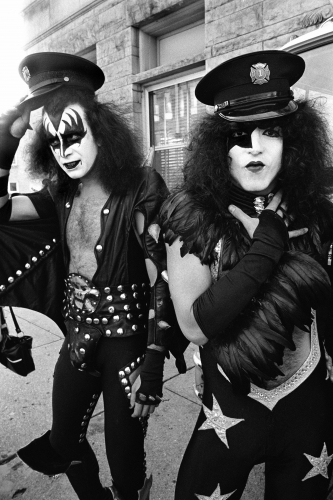 They are still considered pioneers of heavy metal, inspiring countless other artists to adopt larger-than-life costumes for the purpose of shocking and entertaining audiences. 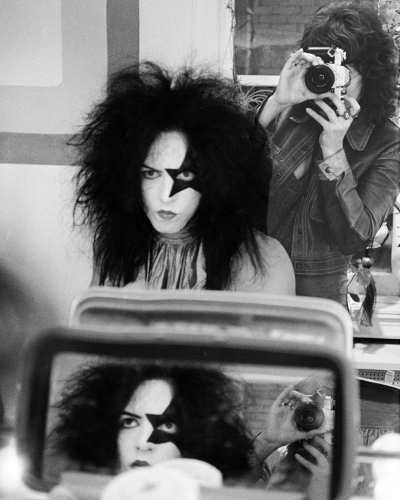 These high quality photographic prints pay homage to the forefathers of shock rock, featuring Kiss donning their iconic makeup and black leather costumes.